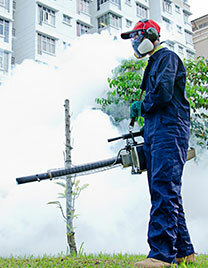 OIG have a team of entomologists that specialise in pest control and fumigation. OIG are fully qualified to deal with and supply pre and post construction anti termite treatment. Pests can also pose health hazards whether in hospitals, offices, or schools. OIG’s professional and fully qualified staff can recommend the appropriate preventative action as well as deal with problems as they occur. Often, pests are not visible and, if in doubt, we recommend a survey to minimize the risks to health and safety. We aim to use environmentally friendly products and chemicals to eradicate pests and ensure that your private and public spaces are clean and pest free.